Florist’s choice is great, because it lets you use your artistry and creativity to create a one of a kind arrangement. But do you ever feel like you’re designing blind, unsure of what the recipient might like, or what the sender wants to convey? 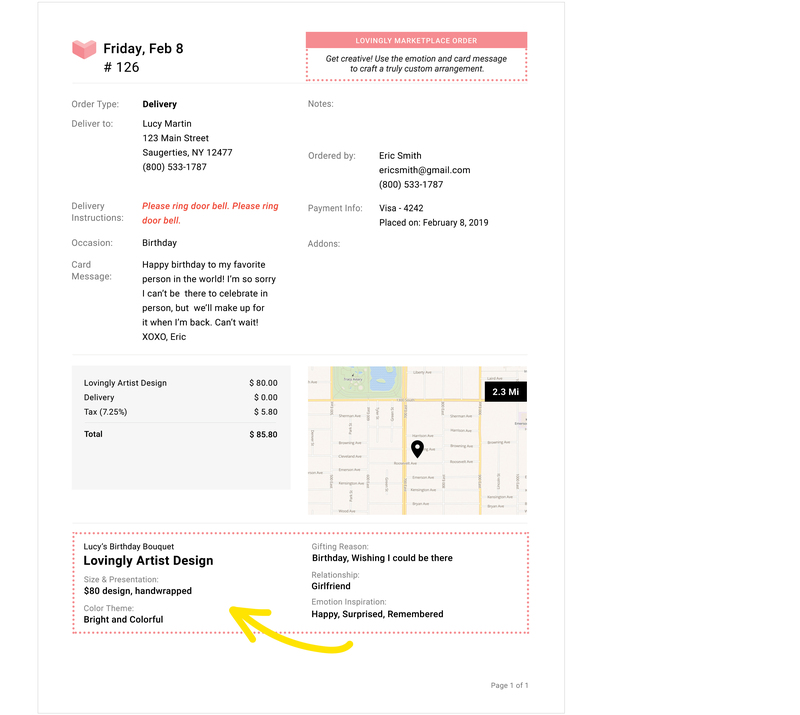 Lovingly Artist Design keeps all the creativity you get with florist’s choice orders, but adds details about the recipient that you’ve never been able to get from online orders before. Along with the reason for sending flowers, you’ll find out the sender’s relationship to the recipient (from friend, to colleague, to spouse, to parent… and everything in between!) and how the sender wants the recipient to feel when they get their gift. 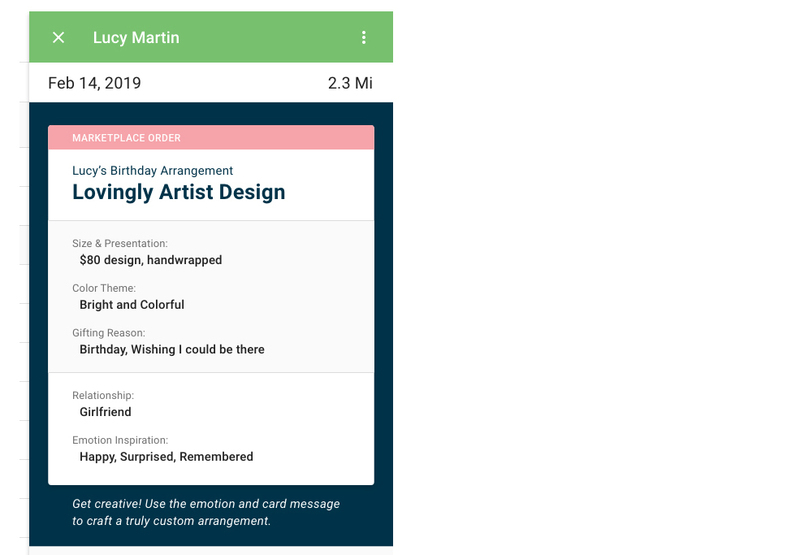 For special occasions like birthdays, the sender can even give you details like the recipient’s age—so you can craft something perfect for their specific milestone. You’ll also get a general theme selection, like “Bright & Colorful” or “Soft Pastels,” so you’ll have some helpful guidance when designing your completely unique arrangement. Additionally, customers can choose the design presentation (in a vase or hand-wrapped), price point (from three options), and delivery or pick up.